Get ready for Mothership V: Bronze Seduction – the new eyeshadow palette launched by celebrity makeup artist and British Vogue beauty editor Pat McGrath! The new 10-shade eye palette includes five different finishes – including highly pigmented mattes and glistening metallics. The shades of deep browns, reds, glittery golds and bronzes are super versatile, you can use this palette for your daily makeup routine as well as for a glam-up look. 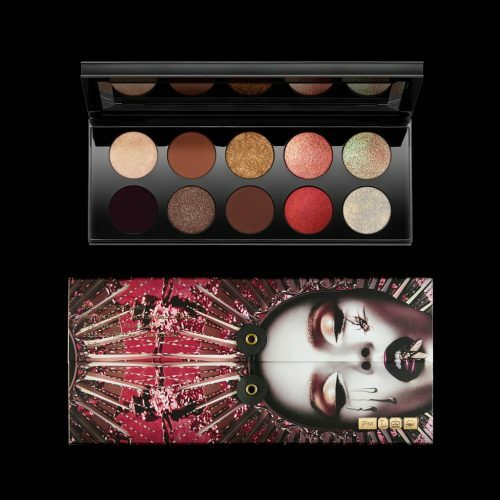 Officially launched on 7th September, the eyeshadow palette is available on Pat Mcgrath’s official webstore. Domestic shipping within US is FREE, so sign up with us to pay only RM10/lb to get this shipped to our US warehouse.